The value of Bitcoin has hit a new high with each individual coin now worth more than $2,100 (£1,615). The valuation caps a strong month for the virtual currency, with its value growing by more than 65% in a month. The steady rise in value is believed to be linked to policy changes in Japan and China that have made it easier for speculators to trade in bitcoins. Many other virtual currencies have also enjoyed a sustained rise in value over the last few weeks. Bitcoin first broke the $1,000 (£768) barrier in November 2013 but its value has fluctuated wildly since then. For instance, in early 2014 one bitcoin was worth only $280 (£215). And at the end of 2016, each one was changing hands for about $900 (£690). Bitcoin emerged in 2008 and is a digital currency based around cryptography. Individual coins can be split into smaller denominations and many people involved with the currency use computers to verify the globally-held log, known as the blockchain, of who spent what where. Verifying transactions involves solving a complicated mathematical problem and the first person to do so gets rewarded with bitcoins. 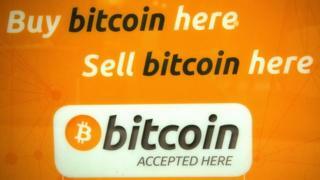 Rising interest in bitcoin has sparked the creation of many other crypto-currencies. These have proved popular as the technology underlying bitcoin has struggled to cope with its popularity and growth. One estimate suggests bitcoins now make up only 47% of all traded crypto-currencies. Rivals such as Ethereum and Ripple have been gaining value far faster than bitcoin over the last few months. The surging valuations has led some commentators to suggest that an unsustainable crypto-currency bubble is developing. "The question is not if but when the market will turn," said an editorial in The Economist.